Mycket bra sadelväskor med hög kvalitet från Givi, lätt att montera, väskorna säljs parvis. Du monterar väskorna på din motorcykel på ett par minuter, inga verktyg behövs. 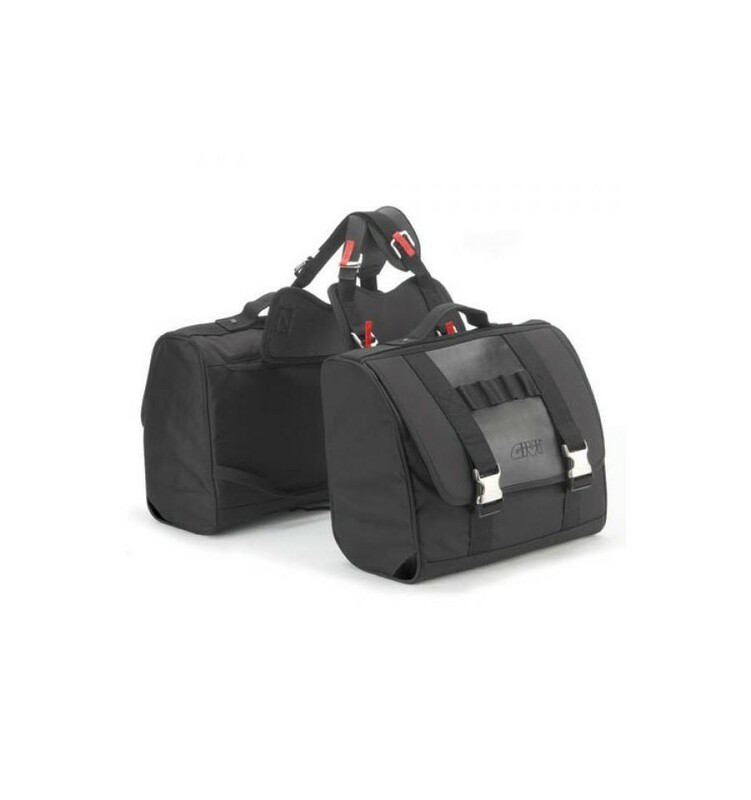 Pair of saddle bags, capacity 18 liter/each, characterized by a minimal look oriented to the maximum functionality and to the use of technical high resistant fabrics (1200D Guzy Nylon) with faux leather inserts, in EVA laminate, and “heavy-duty” finishes. Flame-retardant canvas on the base. Supplied with 1 net internal pocket with zip, reflective inserts, rain cover, reinforcements in rigid plastic on the back and the bottom. 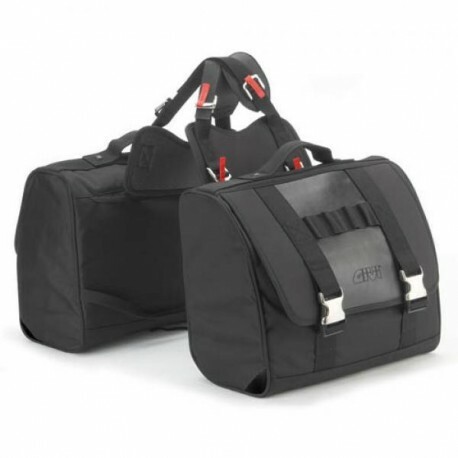 The locking system of double D-ring adjustable locks allows the assembly of the single bag.